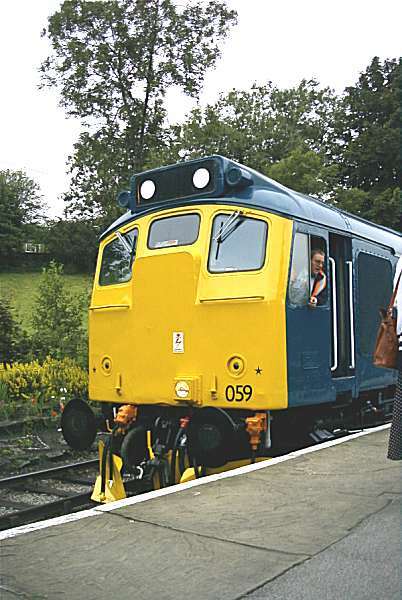 The weekend of July 22nd and 23rd 2000 saw a diesel gala held at the Keighley and Worth Valley Railway. For devotees of Sulzer powered locomotives the event was, to say the least, very disappointing indeed with only the resident Class 25, 25 059 in action. The annoying decision was made to pair the locomotive with a Class 50 for most of it's rostered turns. It is, however, pleasing to report that 059 is once again in BR blue livery. 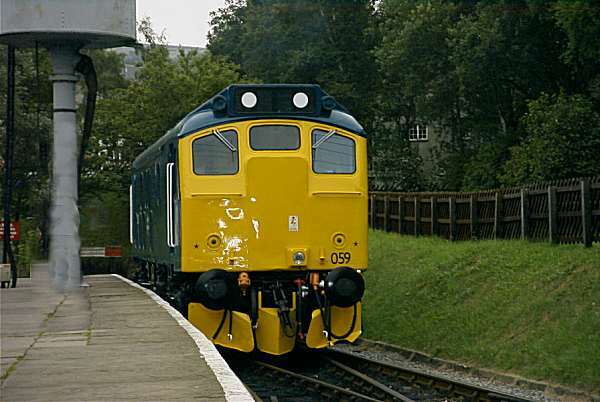 It did run as 5209 in blue soon after arrival on the line following purchase from British Rail. Full marks for initiative regarding the 'double one domino' headcode - the blinds have been set at black blank and two white circular transfers applied. The following views depict the locomotive on the Saturday evening of the event when it was in charge of the Beer and Blues services. All photos are by courtesy of Phill Taylor. 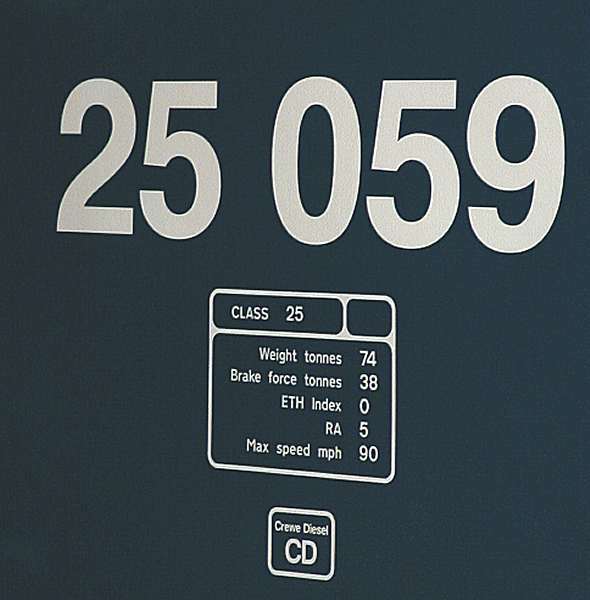 A view of the bodyside numbers now carried by the loco. 25 059 at Oxenhope, notice the emulation of the Crewe Diesel Depot practice of applying the numbers to the front. In reality on their 25s this was a lot smaller and would have been carried underneath the centre cab window. Interestingly 059 was a Scottish based device for most of it's life before migrating south during the 1980s. 25 059 again at Oxenhope, and yes the water tower has received some editing as somebody was standing beside it! A week later the diesel turn at the North Yorkshire Moors Railway produced 25 191, click here to take a look!